Baby Onesie Letterhead is the perfect backdrop for your Baby Shower, Birth Announcement, Child's Party and more. 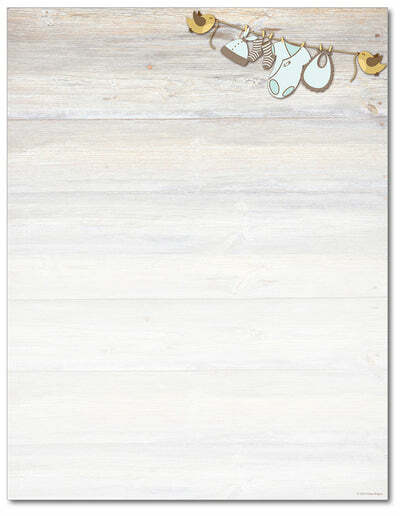 This stationery design features baby clothes pinned to string held by two birds over a wooden background. Perfect for Letters, Invitations, Flyers, and more .